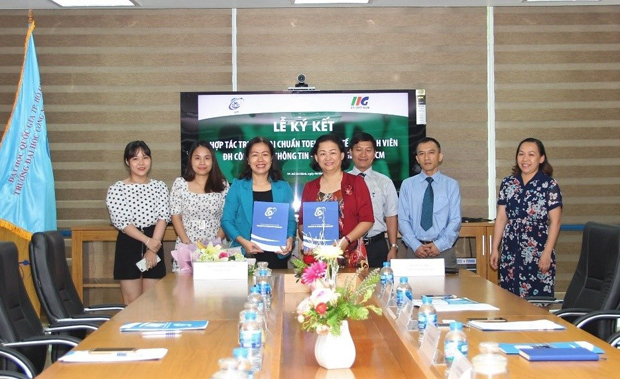 September 6th - University of Information Technology (UIT) held an Agreement Ceremony with IIG Vietnam. The attendees on the IIG Vietnam’s side was Ms. 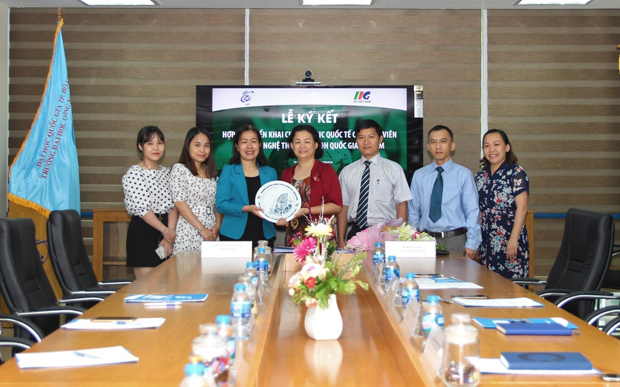 Vu Thi Bich Ngoc – IIG Vietnam’s Director; on the UIT’s side: Professor Dr. Nguyen Hoang Tu Anh, Rector; Professor Dr. Vu Duc Lung, Vice Rector and the Director of The Centre for Foreign Language of University of Information Technology (CFLUiT); CFLUiT’s representatives, and Head of the External Relations Office. Opening the Ceremony, Professor Dr. Nguyen Hoang Tu Anh welcomed and congratulated the cooperation between UIT and IIG Vietnam. In the Agreement, UIT offered a registration service and a modern facility to TOEIC examinees at UIT campus. People who hoped to be examinees should register at CFLUiT and take TOEIC examinations. Professor Dr. Nguyen Hoang Tu Anh talked in hope that the TOEIC examinees who lived in the east area of Ho Chi Minh City would have more opportunities when they came to register and had TOEIC examinations at UIT. As ETS would officially take its changes to TOEIC tests into effect by the beginning of 2019, this cooperation would be good chances for UIT’s students to access an international standard methodology in studying English. Above all, they themselves would build more competitiveness, confidence when applying for a job in international corporations after they graduated. Being a prestigious name in quality education for industrial innovation of ICT and other related fields in Asian. 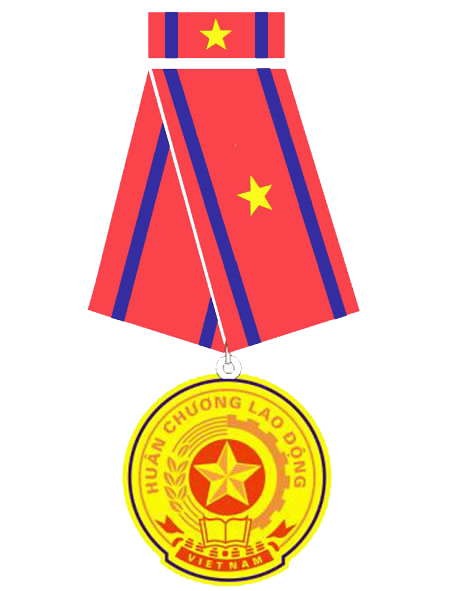 ADDRESSQuarter 6, Linh Trung Ward, Thu Duc District, Ho Chi Minh City.